If there’s one thing I’ve learned about long-term traveling during the first three months of my journey, it’s this: variety is good. If you don’t change your pace or you visit the same kind of sights over and over again, globetrotting gets dull very quickly. By the time I reached Delhi, I really needed that variety. I had traveled through India for a month rather quickly, and I wasn’t very interested in exploring my surroundings at that moment. Fortunately, all this changed when Tino arrived in Delhi and we started our adventures together. 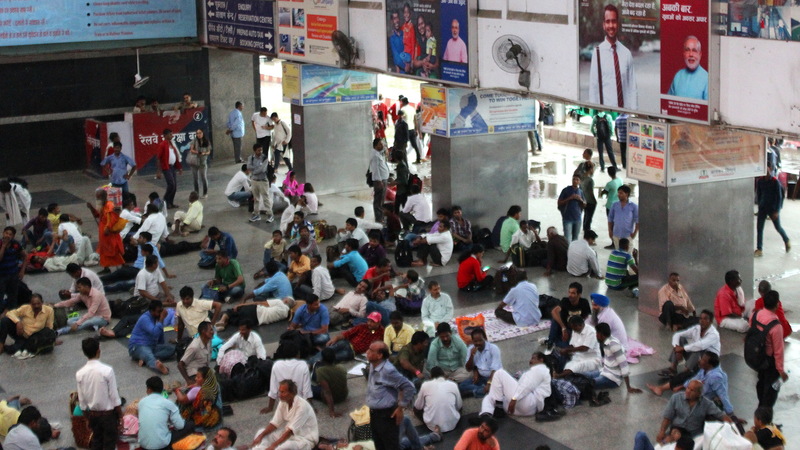 Wait, are you saying that people sleeping in the floors of train stations is not a common sight everywhere? 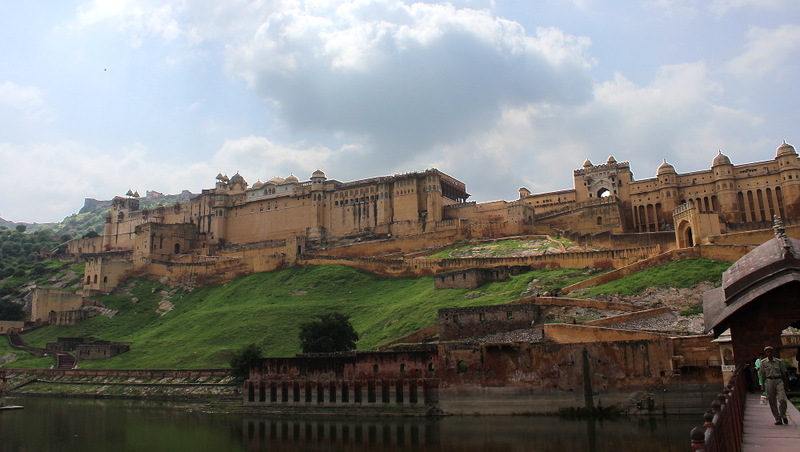 Amer Fort near Jaipur, one of the destinations we visited together. When you have a friend join you for a short while, you get to see things through the eyes of someone else. I had not even realized how adapted of the Indian way of life I had become, until I got to see Tino’s reactions. The filth and the extreme poverty seen on the streets of India were things that I no longer really paid attention to. And when a policeman stopped our rickshaw and we had to change the vehicle because the original driver didn’t have the required license, it seemed like a very normal procedure to me. These things are very common sights in India, but for someone who comes from a rich Western country to India for the first time? Yes, I can understand why some people get a slight culture shock in the beginning! 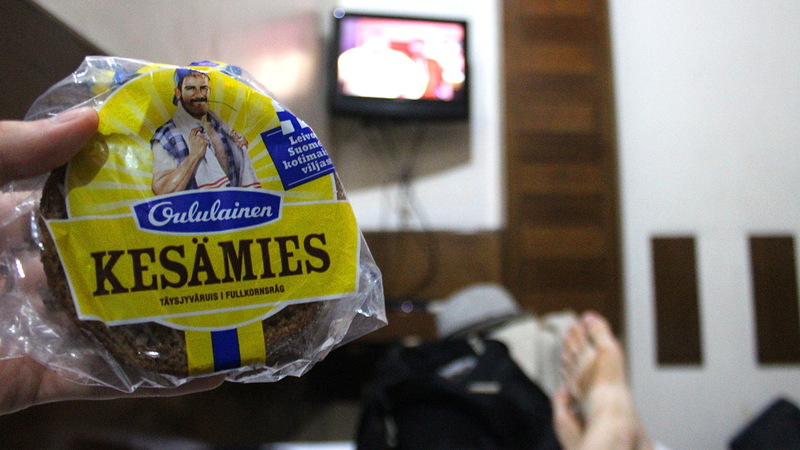 A treat from back home: Finnish rye bread. There are plenty of benefits about a temporary travel companion. When you share rooms and vehicles, accommodation and transport get cheaper. And when the other person has a set departure date looming nearby, you’re motivated to see and experience much more than you normally would. Sharing both the good and the bad moments is also very helpful: even all the scams and way too long hours in crowded public transport became something that we could laugh at. Having just about any travel companion is nice for a while, but now, there was more than that. The best thing about these ten days was that I got to spend a lot of time with one of my best friends. All the long discussions we had about our lives and the people we both know felt very precious. When you travel solo, you get to meet more people and you don’t need to be alone, but there are some conversations that you can only have with someone you know – and who even speaks your first language! 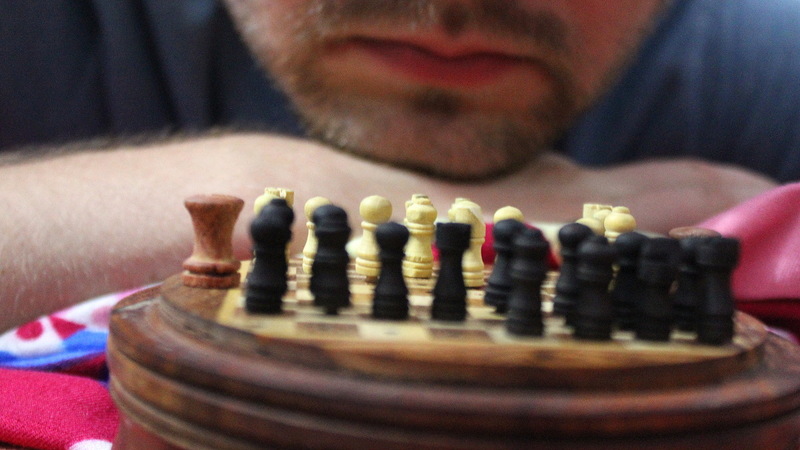 Tino bought a miniature chess set from a street vendor. I already miss our tough and even matches! 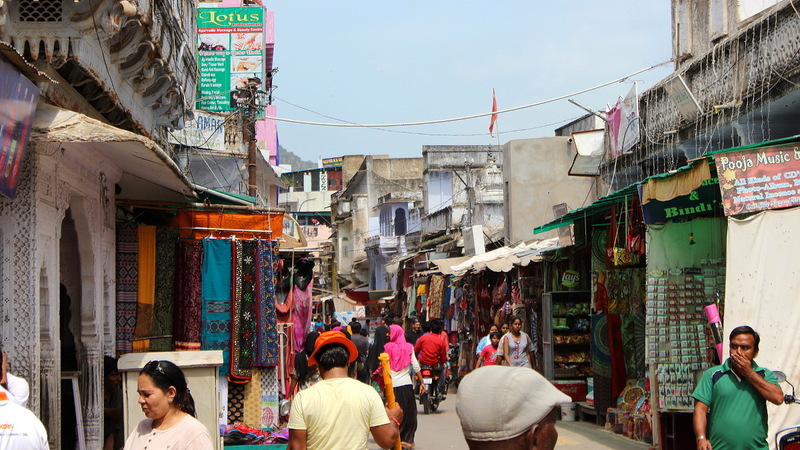 Shopping in Pushkar Main Bazaar. 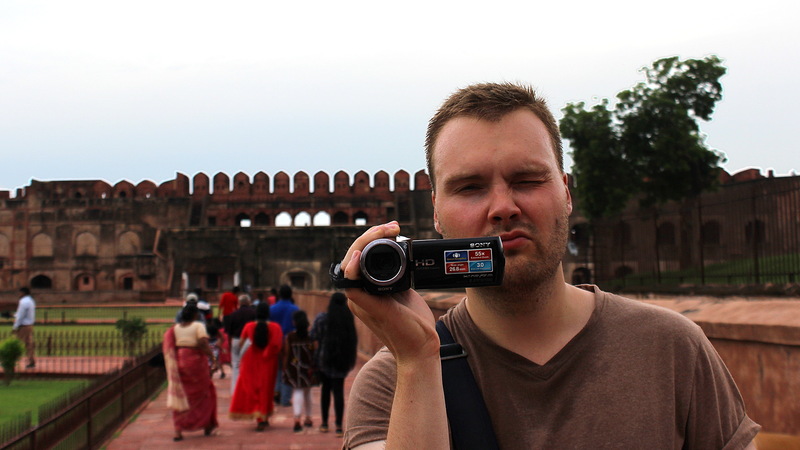 During the ten days, we visited the cities of Delhi, Agra, Pushkar and Jaipur. By the time Tino left, I felt re-energized. 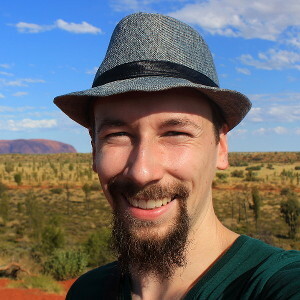 I enjoy solo traveling and I like to have plenty of time on my own to work on my blog and other projects, but there are some things that traveling on your own cannot give you. For a few days, I could glimpse back to the life I had left behind and see how that world was not completely gone. The people I care about will still be there by the time I return to Finland… in 2018. Or, I don’t know, some day? Nice post. Which one did you enjoy more – pushkar or Jaipur? Thank you! 🙂 Probably Pushkar, because I prefer smaller towns that can be easily explored on foot. But Jaipur was also very nice!